Homology generally describes similarity that results from common ancestry. For example, vertebrates share anatomical similarities during stages of embryonic development. 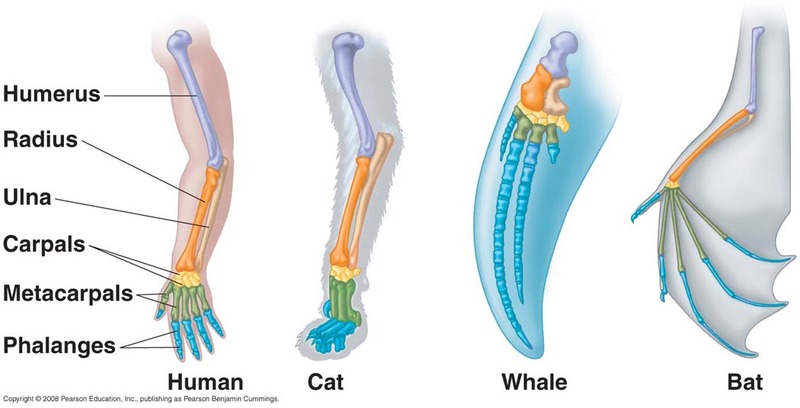 Another example is the shared forelimb structure in bats, whales, cats, and humans. Just like anatomical structures, two proteins are homologous when they share a common ancestor. Studying homologous proteins in model organisms provides important insights into protein functions and diseases resulting from mutations.